Why the Tensilon Test done? 1 Why the Tensilon Test done? 2 How the test done? Tensilon test is conducted to detect myasthenia gravis and for dose adjustment of the therapy. One of the major enzymes produced in the body is acetylcholinesterase, which helps to regulate neuromuscular transmission. The nerve secrets acetylcholine for muscle contraction against any stimulation provided to the muscle. After a contraction of muscle, acetylcholine become metabolized in the presence of acetylcholinesterase to restrict the further contraction. 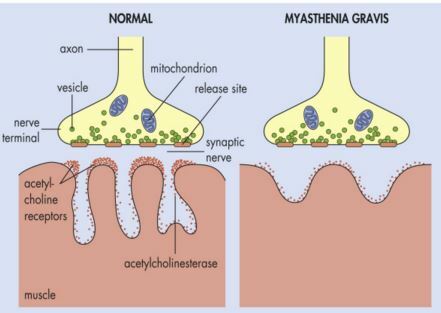 In myasthenia Gravis, less activated neuro-receptors cannot secrete acetylcholine. This leads to unregulated muscle contraction and weakness. Tensilon able to block the acetylcholinesterase receptors and restricts the metabolism of available acetylcholine, which helps to contract the muscle and regulates the muscle energy. The Tensilon test helps to monitor the muscular strength and useful tool for myasthenia gravis symptoms. In Tensilon test, health care providers administered Tensilon intravenously or intramuscularly. Some times in place of Tensilon, placebo (a dummy medicament) can also be administered. The alternative name of Tensilon is edrophonium. The medicine is provided in blood stream with slow rate and healthcare provider monitor the symptoms after providing this medicine. Usually the symptoms which are associated and important to monitor are muscle twitching, increased muscle weakness, vision changes, stomach cramps, nausea, sweating, and other symptoms. Some clinics prefer to give atropine before administering the Tensilon, to subdue patient awareness about the symptoms. Some health care providers also asked to perform repetitive actions of some muscle movement for checking the muscle strength after giving the Tensilon. In maximum cases, repetition of the conduction of this test is important to confirm of myasthenia gravis. The Tensilon test provides immediate result for diagnosis of myasthenia gravis, but healthcare providers repeat the test for confirmation. Tensilon test also provides the information that the therapy is further required for treatment or not. After providing the Tensilone dose, the temporary muscular strength improvement and worsening of the myasthenia gravis condition indicates patient required further therapy, whereas weakness develop in the muscle, after providing the therapy indicates patient already have excessive acetylcholinesterase in his physiological system. The following evaluation is conducted by the doctors. Tensilon test can support the detection of myasthenia gravis. The dose adjustment and modification based on diagnosis of the condition of the patient. In normal condition or patient is not having myasthenia gravis, Tensilon test does not increase muscle strength for weak muscle. Temporary improvement of the muscle strength may possible, but that effect is not significant. 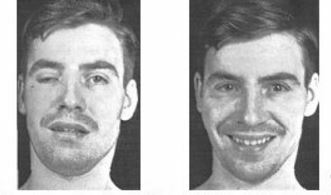 This interpretation helps to determine negative Tensilon test and also provide the information that the patient is not suffer from myasthenia gravis or cholinergic crisis. The positive Tensilon test is generated only for the myasthenia gravis patient and the impact of Tensilone significantly increases muscle strength which becomes weakened due to myasthenia gravis attack. The effect is generated in few minutes and after that it will diminish.